Published: March 22, 2018 at 10:44 a.m. Updated: March 22, 2018 at 10:55 a.m.
Free agency is a time of opportunity -- but it can also leave teams trying to fill holes left by players who have moved on to greener pastures. Before we dig into the free-agency departures from 2018 who will be most missed by their teams, let's knock a few candidates off the list. First, I don't know if losing Kirk Cousins will be that significant for Washington; Cousins didn't have a great record against winning teams, and I love his replacement, Alex Smith. And Allen Robinson was obviously productive when healthy in Jacksonville, but the Jaguars can turn to promising youngster Keelan Cole. Formerly with: New England Patriots. Now with: New York Giants. The Giants acquired a blind-side protector for Eli Manning at Tom Brady's expense. 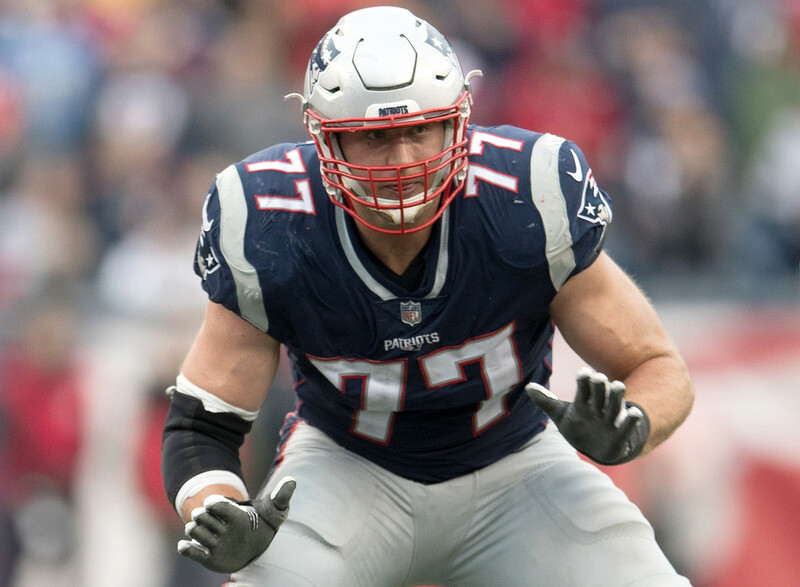 Solder is a real athletic guy who did a great job last season, especially in Super Bowl LII. Internally, the Patriots could look to Antonio Garcia, who I remember having an exceptional pro day workout last year, and who I had in my Hot 150 ranking of the top draft prospects last year. He's big and fast. Or they could look to the draft. But it's hard to lose a strong veteran presence at such an important position. Now with: New Orleans Saints. Robinson enjoyed his best professional season in Year 8. The 30-year-old really played well, stepping up for the Eagles in the absence of Ronald Darby in the first half of 2017 and helping to facilitate Philly's Super Bowl season. Coordinator Jim Schwartz really did a good job coaching this guy. Now the Eagles will be hoping Sidney Jones is ready to step up after recovering from a torn Achilles tendon that basically wiped out his rookie year. Formerly with: Los Angeles Rams. Now with: Kansas City Chiefs. I feel positively about the Rams' ability to make it work with their depth at the position (and, potentially, with Josh Reynolds blossoming in Year 2). Even so, it stings to lose a game-breaking receiver with Watkins' skills, especially after sending a second-round pick to the Bills for what proved to be a one-year rental. The Dolphins couldn't realistically match the offer Chicago made to Parkey (four years for $15 million), and thus currently don't have a kicker on their roster. The strong-legged, 24-year-old Parkey is coming off his best NFL season, having made 21 of 23 field-goal attempts and 26 of 29 extra-point tries. Chicago did a fabulous job in free agency, and Parkey will be an asset in Soldier Field, where you're kicking into the wind half the time. The Patriots have consistently excelled with a running-back-by-committee approach, which has helped them survive the losses of players like LeGarrette Blount, Stevan Ridley and Shane Vereen over the years without really missing a beat. But the defection of a truly explosive player like Lewis will hurt. He's small but dangerous, as exemplified by the run that clinched the Patriots' win over the Jaguars in the AFC title game: On third-and-9 with 1:38 left to play and New England up four, Lewis sprinted 18 yards, and his team began celebrating. The Patriots still have plenty of running backs, but no one on their roster can match Lewis' explosiveness. You can't necessarily see Poe's impact on the Falcons' defense in the numbers, but Atlanta coaches had high praise for the way he played in 2017. The Falcons couldn't keep him, likely because they are setting aside money for a Matt Ryan extension. But I'm not sure who they'll find to replace Poe's defensive presence up front, especially when it comes to stopping the run. Atlanta will probably want to look to the draft. The Redskins reportedly tried to re-sign Murphy before the start of free agency, which tells you how much Washington cherished him -- and he didn't even play last year after tearing his ACL in August (he had also been suspended four games for violating the league's policy on performance enhancing substances). He's not real fast, but he had been playing much faster than his timed speed and brings a real heady presence to the field. In his last healthy season, Murphy had 9.0 sacks in 2016. Washington now needs to add another member to its defensive front. Formerly with: New York Giants. Now with: San Francisco 49ers. The Giants might have filled a hole with Solder at left tackle -- but a new one opened up when Richburg departed for San Francisco. The good news for New York is that this draft is considered very deep for centers. I'd take a look at James Daniels out of Iowa, who could be available when New York picks in the second round. Billy Price of Ohio State would also be worth a look, while Frank Ragnow of Arkansas can play center or tackle. This is a good player who is going to be very difficult for Dallas to replace. He's strong against the run and the pass; he's a really strong leader and is very athletic. I'm sure Jaylon Smith -- who collected 81 tackles in 16 games last season after missing his rookie year with a torn ACL -- will help make up for it a bit. Still, the Cowboys' defense is definitely impacted by his loss.